I ship a LOT of packages because of my online Etsy store. Once a year I place a giant order of shipping supplies (cardboard boxes, packing paper, tape, etc) with Uline. This year the order was so large a UPS semi truck showed up at the end of my driveway, and everything was banded together on a pallet. I was SO excited. 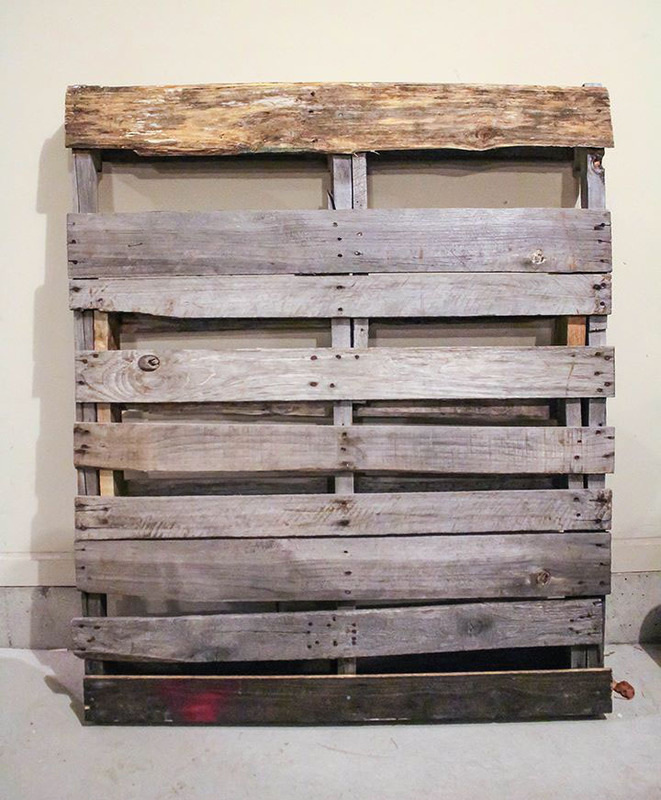 A pallet! 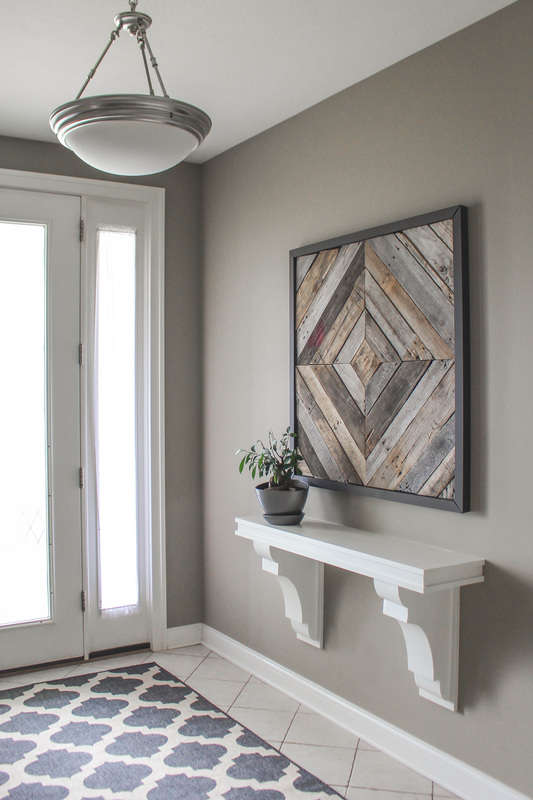 Pallet projects are all the rage on Pinterest, and I’ve been wanting to get in on it for a while now. This is a picture of the pallet I received. It was really old and kind of falling apart. I took it apart with various tools…mostly a hammer, chisel and rubber mallet. I tried to be careful but a lot of the wood broke in the process, so I was gluing and clamping wood back together for what seemed like forever. Finally I was ready to start sawing and laying out the pieces. I only had a hand saw and miter box. That was hard work! I have since purchased a circular saw and am kicking myself for not getting one sooner. To finish it, I built a frame out of 2×2 lumber, the cheapest plywood I could find, and used mending plates to hold it all together. 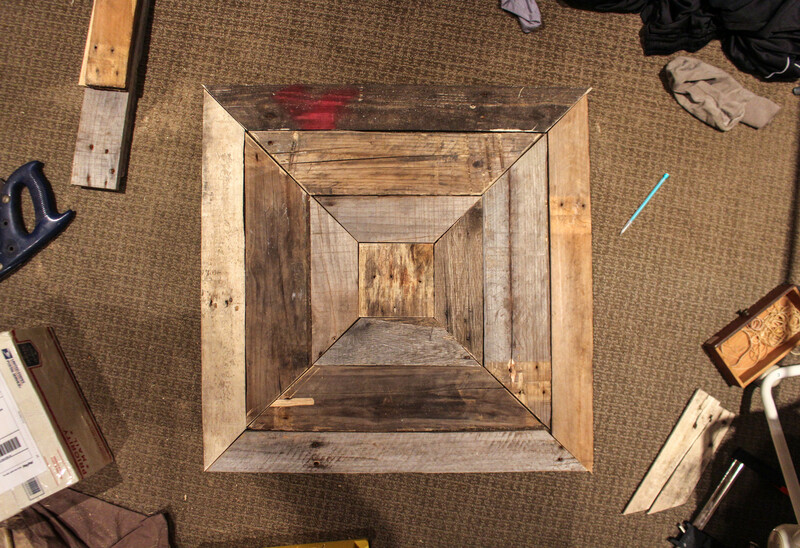 It was important to first paint the frame/backing because you can see gaps between the pallet wood. To put the pallet pieces in place, I just used a LOT of wood glue. I used a french cleat system for hanging. Done! It is a great front entry piece, everyone who visits always comments on it. 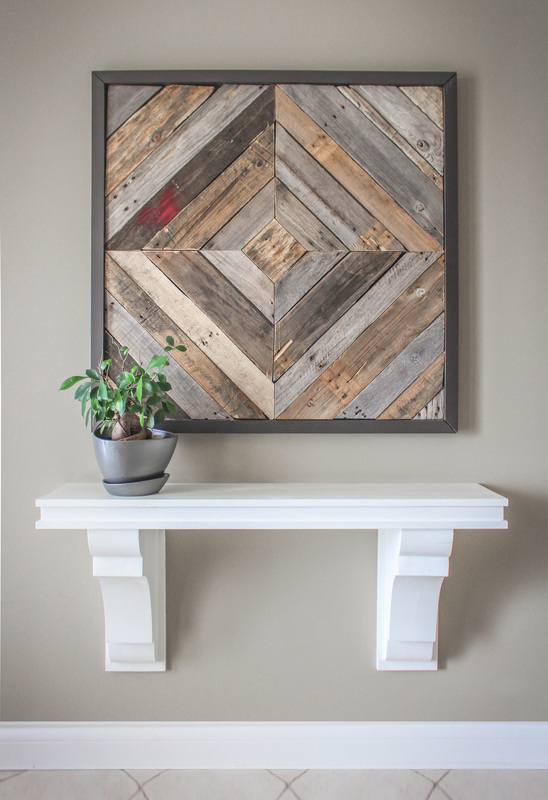 If you like the corbel table, you can see the post on that here!